The following series of articles gives a recap and brings new players up to speed on the weapons, vehicles, abilities, spawn systems and strategy in multiplayer of Halo: Combat Evolved, Halo 2, Halo 3, and Halo 4. Due to the sheer volume of information, some subjects were chosen according to how much they vary from game to game, to better prepare the player. One of the most devastating changes to many Halo fans from Halo 3 to Halo 4 was the radical restructuring of how weapons were obtained. 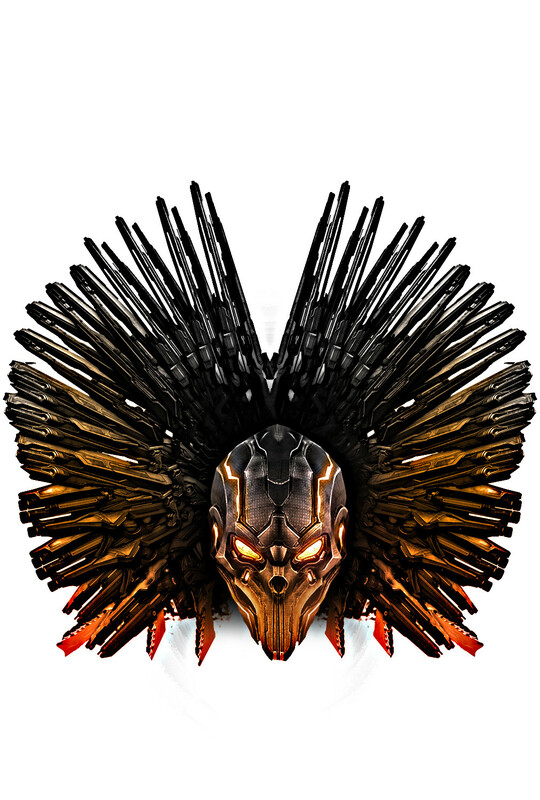 No longer was gameplay to be a team sport of acquiring power weapons at first rush, holding power positions of a map for slayer objectives. Now, similar to a casual customs game of Fiesta, the game was reduced to a smorgasbord of chance, both in power weapon spawns rewarded to players by point system via drops, and in random player respawn areas. The UNSC’s SMG was removed, and the SAW and Sticky Detonator was added. Covenant weapon selection saw significant change in Halo 4, perhaps since the game no longer had Elite characters to choose from. Covenant weapons removed were the Plasma Rifle and the Brute Shot, which were replaced by the much weaker Storm Rifle and Concussion Rifle respectively. The Mauler, Brute Spiker rifle and Brute Spike Grenade were also removed, and although the Brute Hammer and Energy Sword remained, they are rarely seen in matchmaking. In between the releases of Halo’s 3 and 4 there were Halo 3: ODST and Halo: REACH. These games are not included in Halo: The Master Chief Collection, but have paved the way for changes to weaponry that are included in Halo 4, like the addition of the DMR, weapons upgrades and downgrades, loadouts, and various super-soldier abilities that affect weapons handling, such as a more powerful grenade blast radius and the ability to carry more than the default ammo limits. Halo 4 marked the introduction of Promethean weapons, and has followed the fps trend into including weapon skins. Dual wielding has been removed, but now the player can choose from a variety of weapons and abilities to equip before going into battle. Halo: Reach was a disappointment to many diehard Halo fans, and marked a major decline in the Halo population. Many would argue that it’s removal of the beloved Battle Rifle had something to do with that. Surely, fans were excited to see it back in Halo 4, although it’s power had been reduced from Halo 3 and it was now a hitscan weapon. Although the DMR has a stronger magnetism (remember, that is the pull of a bullet towards it’s target even when the reticule is not on that target, by design of the game), making it more accurate at longer ranges, the Halo 4 Battle Rifle is an effective preference for many, and gives the DMR a run for it’s money in the right hands. Introduced in Halo REACH, the Designated Marksman Rifle has become a staple first choice for many Halo gamers. Halo 4’s DMR has less of a kick (recoil) than it’s predessessor and holds more ammunition. Like the Battle Rifle, the Assault Rifle of Halo 4 has quite a different feel than the Halo 3 version. Although the MA5D kills in 13 bullets instead of 16, the rate of fire is slower and it holds less ammo than the AR in Halo 3. Weapons testing has shown it to be more accurate than the previous installment at medium to long ranges. As with all UNSC automatic weapons in Halo, the MA5D is more accurate when fired in short, sharp bursts. However, at point-blank range it’s best to use full-auto fire. The Halo 4 Shotgun continues to be a close-quarters, camping favorite. Unlike previous Halo installments, the Magnum in Halo 4 allows the player to switch to it much faster than other weapons. 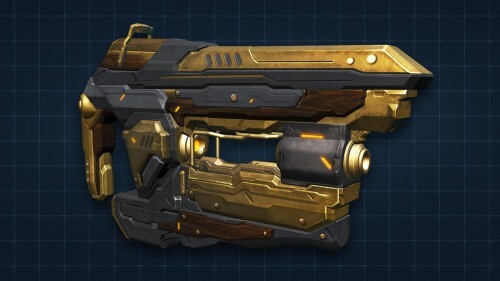 Also unique to Halo 4 is the Flagnum, where the player pulls out a magnum, regardless of what weapons he or she is carrying, upon picking up the flag in Capture the Flag gametypes. With the Flagnum, the magnum kills in five shots instead of it’s usual six. No doubt about it, the Halo 4 Sniper Rifle handles differently from it’s Halo 3 counter part. Don’t forget it is not a hitscan weapon, and you will not need to lead your shots in Halo 4. 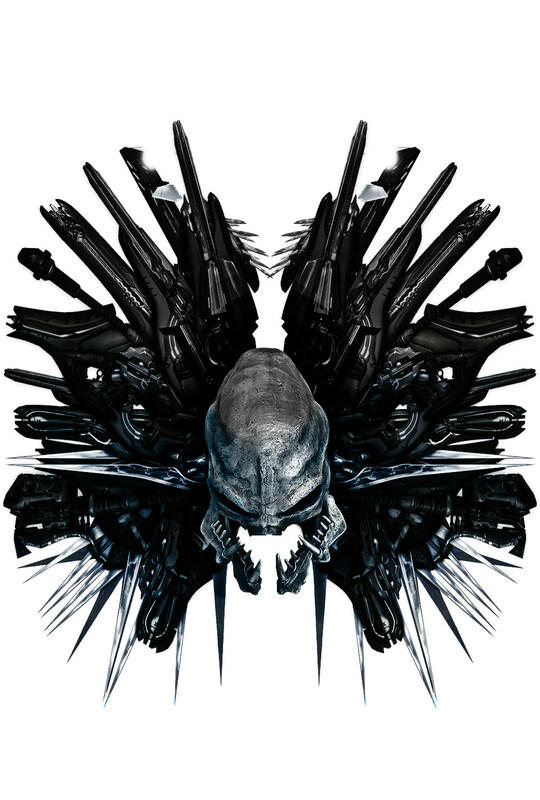 See specifics on this weapon’s mechanics in the video below, under the Covenant’s Beam Rifle. 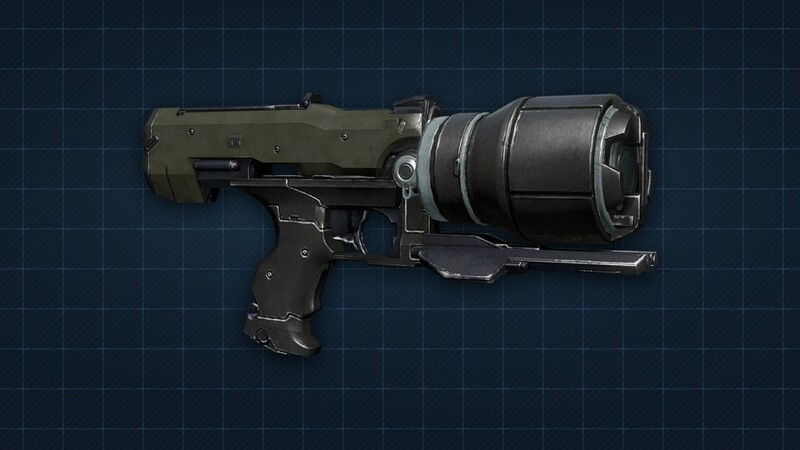 In Halo 4 the rocket launcher can only lock onto the Banshee, and the mechanism is a lot more difficult to trigger. The Rocket’s reticule must be held on the target until it turns yellow, and held on the Banshee until impact. Rockets also no longer travel in a straight line indefinitely, instead dropping as if affected by gravity. Other changes to this weapon from Halo 3 to Halo 4 include a faster travel speed and larger splash damage. The Halo 4 Spartan Laser uses 25% of it’s charge per shot, as opposed to Halo 3’s 20%, making it hold four shots instead of five. 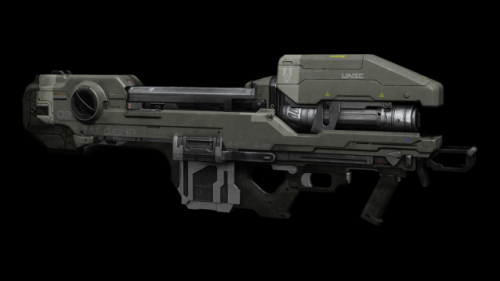 New to the Halo series in Halo 4, the Asymmetric Recoilless Carbine-920, or ARC-920, is similar to a Spartan Laser in that it must be charged to use. However, this weapon does not have to be charged the entire time to fire a shot, which occurs when you let off the trigger. If you’ve charged the Rail Gun past the point of no return, but decide you don’t want to take the shot, you can often interrupt the charge and save your ammo by switching to your other weapon, provided it’s not on the verge of discharge. 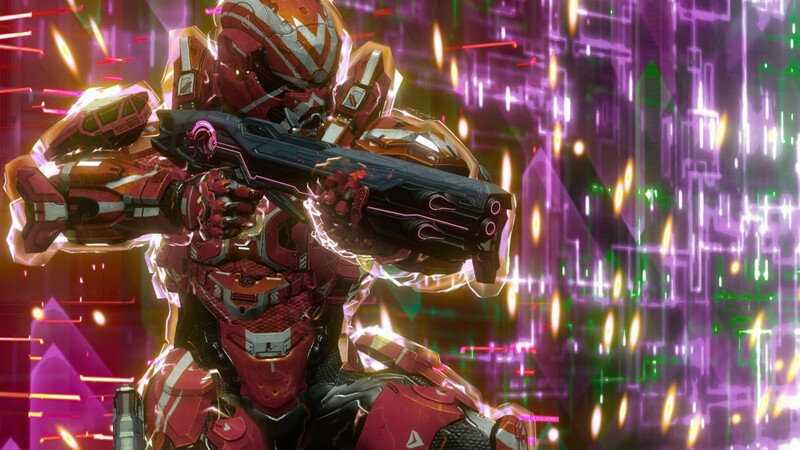 Halo 4’s M739 Light Machine Gun is quite the beast, and many have cried it is overpowered. Beefed up in the Title Update, where weapons settings were tweaked by 343 after Halo 4 was released and fans demanded more balanced gameplay, the SAW is a power weapon and will easily cut down anyone in your path. As with other automatic weapons, beware of muzzle-climb with continued fire. The Sticky Det, or M363 Remote Projectile Detonator, has been a fun addition for many in Halo 4. This weapon fires by depressing the trigger, when a grenade-like cartridge flies out that behaves like a sticky grenade, then depressing the trigger again to detonate it. The cartridge blinks a red light and makes a sound, alerting enemies to it’s presence, but when you’re the target it’s often difficult to determine where the thing is located at before your demise. You can swap to your other weapon, and choose to come back to the sticky det at a later time to detonate it, but after a time it will detonate on it’s own. In Infinity Slayer gametypes, where you cannot kill your teammates, you can stick your teammates with the Sticky Detonator and send them into a group of the other team for amusing multi-kills. In Halo 4 it is possible to kill your target with one Fragmentation Grenade, provided they are within it’s inner blast radius when it goes off. The bounce predictability of the Halo 4 frag grenade, which was removed in Halo 3 in sand and snow environments, is even less so in Halo 4 where frags seem to have a variable coding on them affecting bounce and distance. Since they are so unpredictable, and explode soon after hitting the ground, the best use of control is to hit the ground right by your target, then follow with a headshot after detonation, resulting in the kill. Did you know that the humble Plasma Pistol can instantly vaporize fluids in it’s victim’s body, causing the tissue to explode? Some changes in this weapon from Halo 3 to Halo 4 include reduced tracking, rate of fire and shots per battery. The battery also drains faster while held in charge mode, but the plasma bolt travels faster. A charged shot can kill an unshielded opponent. 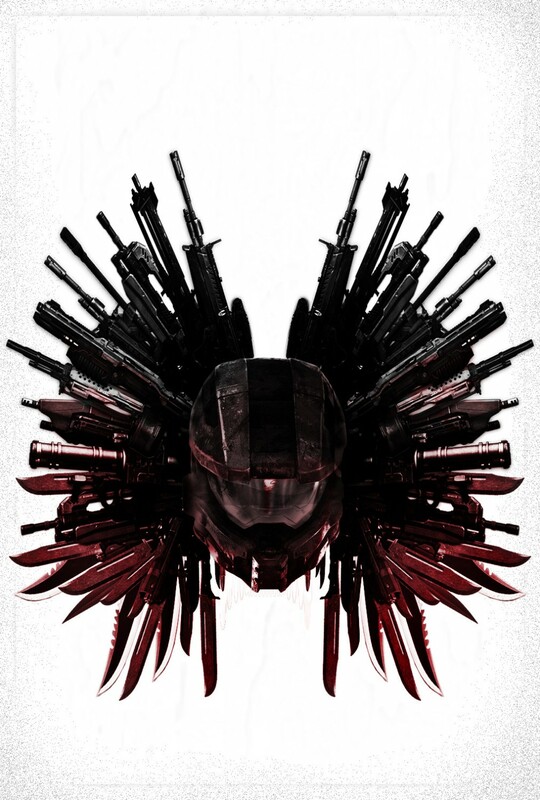 Although the Needler’s ammunition is decreased in Halo 4 from Halo 3, it is a more powerful weapon. Be especially carefully of supercombines (once seven needles enter your target, causing an explosion) occurring near your teammates, as they can do damage in all but the Infinity Slayer gametypes in War Games matchmaking. 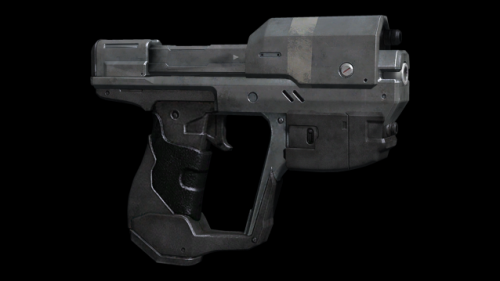 Changes from Halo 3 in the behavior of this weapon include a faster rate of fire and higher accuracy. After the Halo 4 Title Update, it was also changed from 8 shots to 7 for the kill. The Covenant Type-27 Special Application Sniper Rifle is slightly weaker than the Halo 3 version, but has a faster rate of fire. See a video below it’s stats that demonstrates the mechanics of this Halo 4 weapon vs UNSC counterpart. Changes to the Energy Sword from the previous installment include a faster swing and reduced lunge range. Rarely seen outside the Grifball playlist, the Halo 4 Gravity Hammer is held and swings differently than in Halo 3. The blast radius of the Halo 4 Plasma Grenade is smaller than in Halo 3, and they seem to have lost a lot of their sticking ability, often falling off of Spartans and other objects. They also will often bounce, and you can bounce them beneath an energy shield, sticking them to your opponent’s ankles for a kill. New to the Halo series with Halo 4 is the disentegration animation, which has resulted in some fantastic screenshots, as seen in this Halo Diehards Screenshot of the Week by xXTheExalted1Xx. 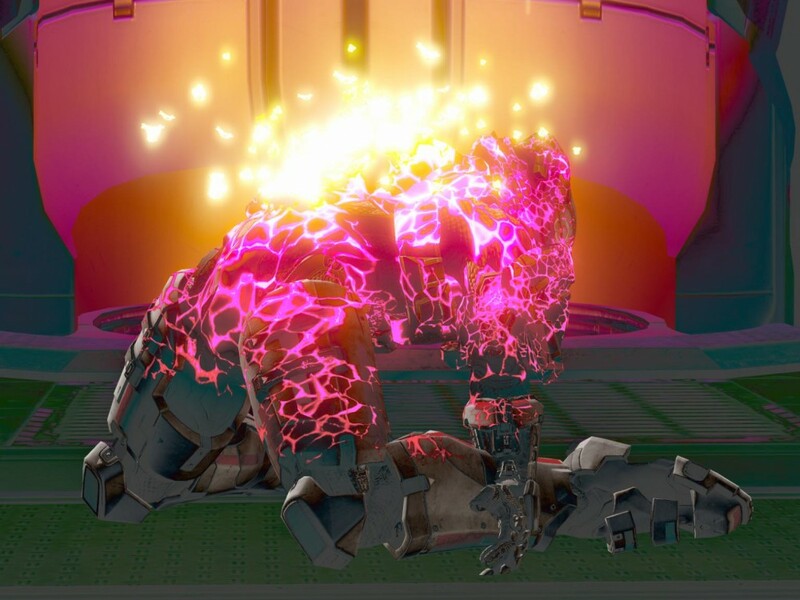 This effect occurs when killed by some of the Forerunner weapons, including an uppercut with the Oddball. The Z-750 Special Application Sniper Rifle disintegrates it’s enemies in one shot. Similar to the Spartan Laser, it has a telltale red laser sight that brightly paints it’s wielder’s position, but unlike the Spartan Laser it does not require any wait time to fire it. At close range it can be fired like a shotgun, resulting in a Snapshot medal (one-shot sniper kill). The Binary Rifle is highly effective against vehicles. If you do not kill your enemy with your Boltshot’s charged shot, it’s faster to continue pinging him with the semi-automatic single fire than to switch to your backup weapon. Once his shields are down, this will take 3-4 rounds. One shot of the Z-390 High-Explosive Munitions Rifle slings out four massive globules of plasma. If you hit a vehicle with all four of the Incin’ Cannon’s boomerang of death, it will destroy it. It takes approximately four seconds to reload this massive weapon. The Forerunner LightRifle, otherwise known as Z-250 Directed Energy Engagement Weapon, is similar in behavior to a Covenant Carbine when scoped in, but fires in three bursts like a Battle Rifle when not. Scoped in, it has more range and a faster rate of fire, and if you’re scoped in for at least one shot, it’s a four-shot kill weapon. The Pulse Grenade is another Forerunner Promethean weapon that will cause it’s victim to disintegrate on the kill. It explodes twice, remaining within a red field in the interim. The field of red is safe to navigate through, but it will slow vehicles down and only lasts a few seconds before the second explosion deals more damage than the first. The Promethean grenade does not bounce, and deploys once it strikes an object. 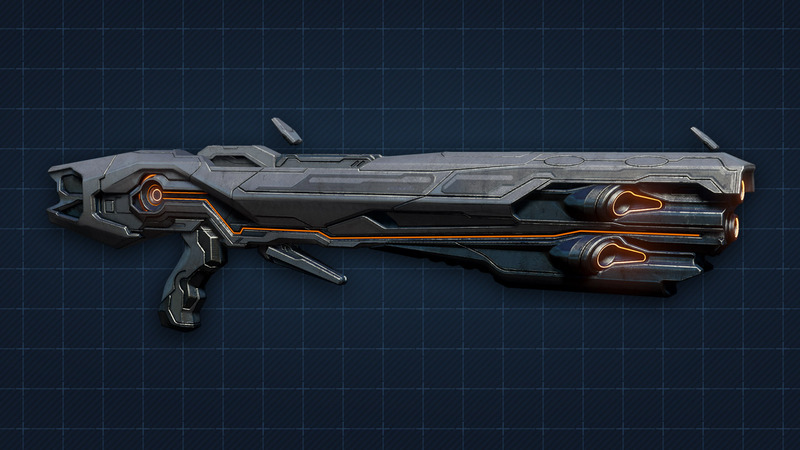 This “Promethean Shotgun” has a lesser kill range than it’s UNSC counterpart, but a higher rate of fire. It’s projectiles can ricochet off walls and cause further damage, even a suicide. Players killed with this weapon display the disintegration animation. 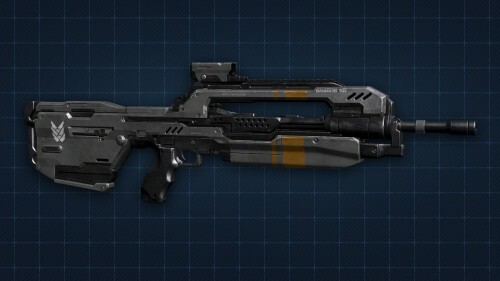 Although this weapon has a very fast rate of fire and reload, and a large clip, the Promethean Suppressor is not seen used often in Halo 4 matchmaking due to it’s substandard performance in comparison to other weapons. Best in close quarters, it can dispatch immediately when fired and quickly followed with a melee. 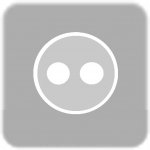 That completes the weapons segment of Halo: The Master Chief Collection for Dummies. MCC is getting closer, it’s exciting to look forward to playing the games that started it all, in 60fps on dedicated servers. Would you like to see more in the Master Chief Collection for Dummies series in preparation for this unprecedented event? Let us know! Just curious: Which UNSC weapon do you favor in Halo 4: the Battle Rifle or the DMR? Let us know in the comments! ← Who is Sergeant Johnson?